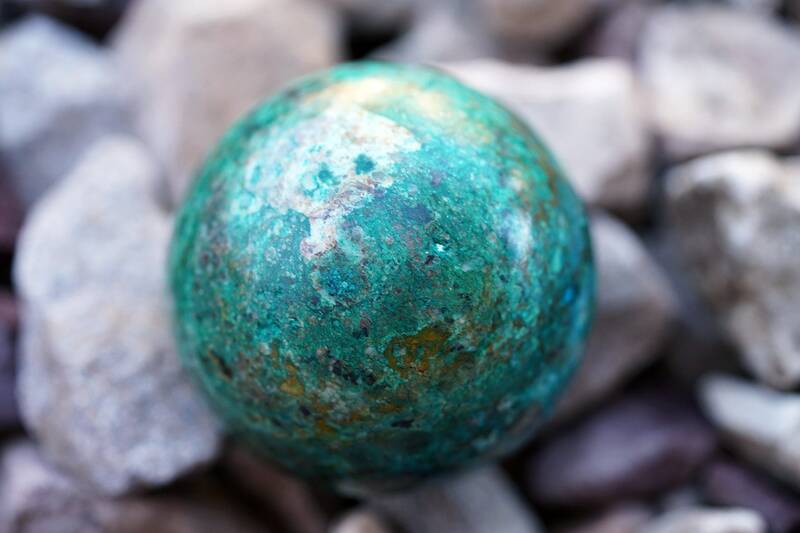 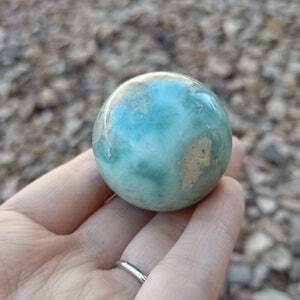 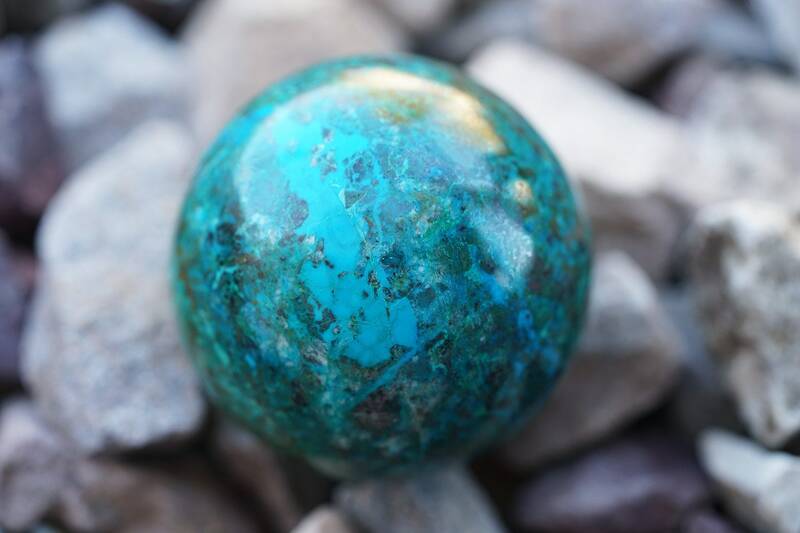 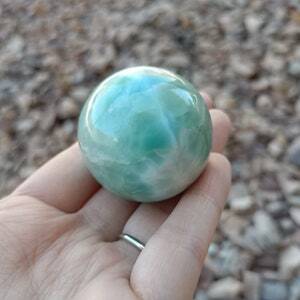 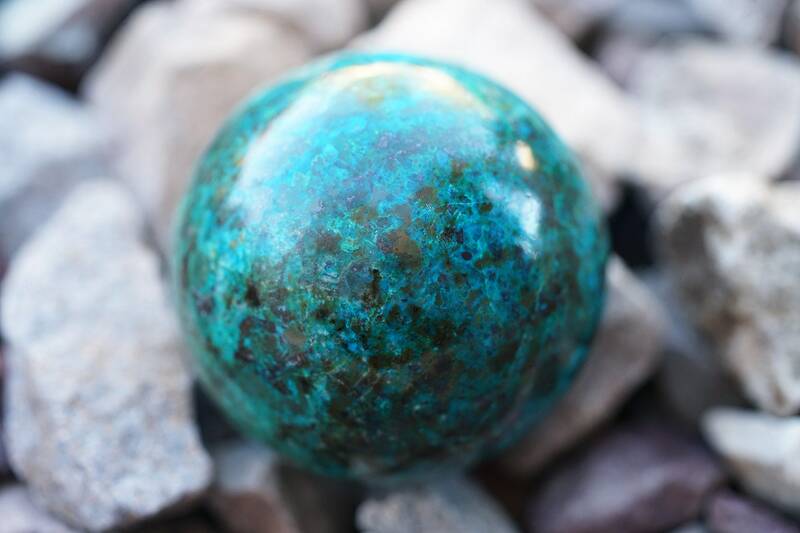 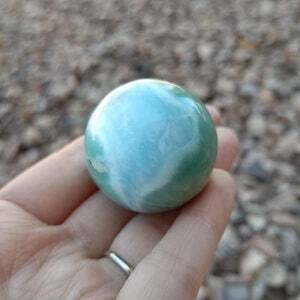 This listing is for the exact top grade chrysocolla sphere pictured + a complimentary crystal meaning card. 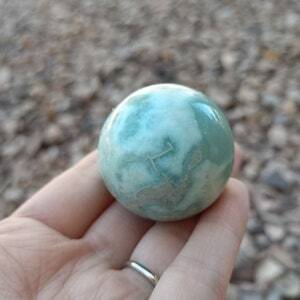 Also includes a clear plastic stand. 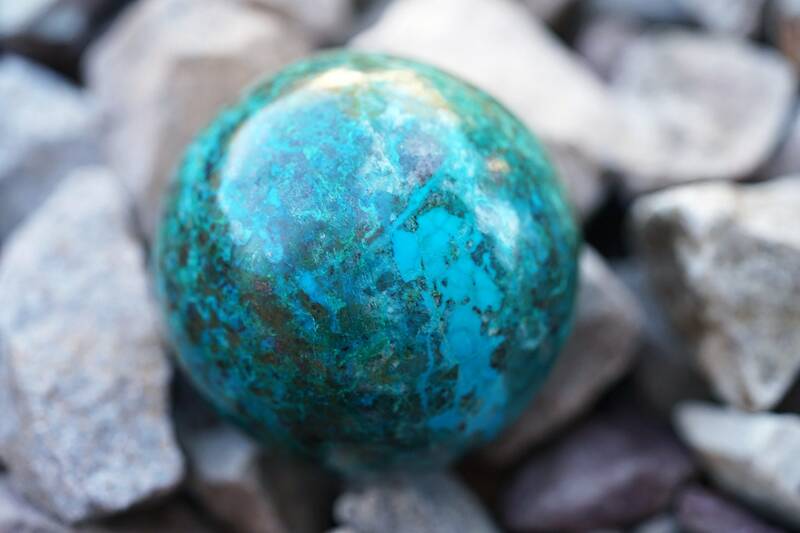 Chrysocolla is a symbol of empowerment, inspiration, and motivation: a reminder of our ability and potential.